My wife and I live in California and will be in Nagril in June. We are there to celebrate 25 yrs or marriage! We are adults who smoke now and would like to be able to enjoy ourselves also on vacation. Update! On April 15, 2015, The Ganja amendment law came into effect. Basically, after this day persons found with two ounces or less of marijuana will no longer be subject to arrest or detention by the police. They will be issued instead with a ticket for $JMD500 payable within a 30-day period at a revenue centre. Read more. Also: Read/Download the 2015 Drugs Bill Here and the 2015 Amendment fact sheet here. Very interesting question but thanks for asking. I am sure many others have the same question. I am going to take this opportunity to share an entire article from the Jamaica Travel Forum with you - and indeed all the others who have general questions about marijuana (Ganja) use in Jamaica. Question: Is Ganja legal in Jamaica? Answer: While many websites claim that smoking marijuana is legal in Jamaica, it is in fact ILLEGAL! Question: Does everyone in Jamaica smoke Ganja? Answer: No! You could travel to Jamaica and never see anyone smoking it depending on where you go. Question: I hear that you can walk down the streets smoking a joint and nobody will bother you, is that true? Answer: It depends on what street you walk down. If the Jamaican Police happen to drive or walk by you while you are smoking a spliff (large Jamaican joint) they will stop to have a little talk with you. Question: Can I hide marijuana in my luggage without anyone finding it? Answer: The risk is not worth the reward. You will have to worry about the Jamaican customs agents finding it along with the custom agents from wherever you live. Do a Google search for “Jamaica Drug Mules” and read some of the stories about the people getting caught and spending years in jail. Since many people try to smuggle ganja and cocaine from Jamaica both the UK and the US pour tons of money into the effort to stop it. Question: I hear you can buy Ganja at the airports in Jamaica, is that true? Answer: Yes it’s true, both drug dealers and the Jamaican police sell it at the airport, in plain clothes could you tell them apart? Imagine your trip to Jamaica starting by going to jail 5 minutes after you leave the airport? Question: I hear the police in Jamaica set up road blocks and will search you for marijuana, is that true? Answer: Yes, it’s true and that is why smart people do not travel with ganja when they travel in Jamaica. I’ve heard a few people mention a “one spliff rule” so you can eat it if you get stopped at a roadblock. 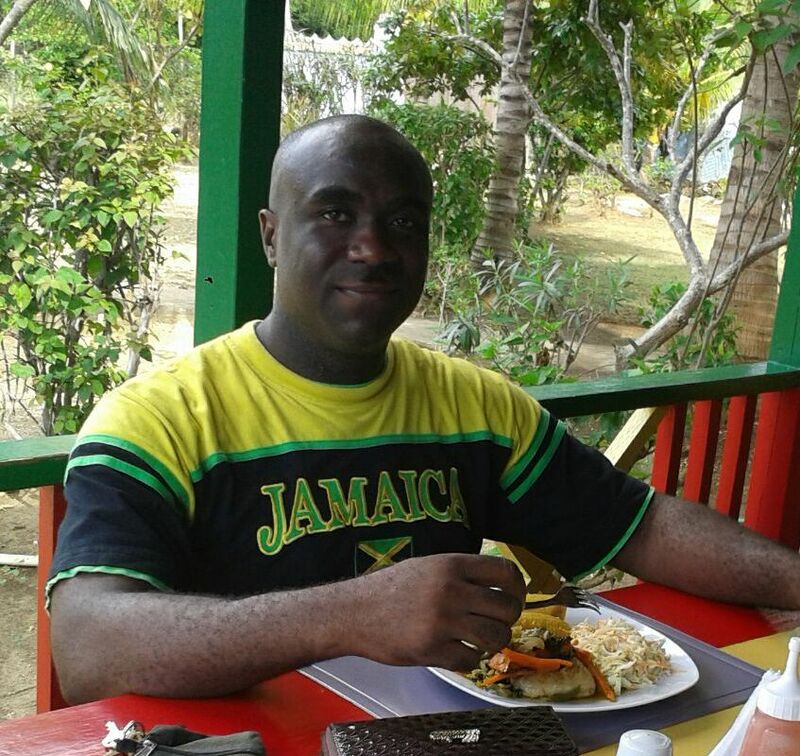 Having been stopped 3 times in Jamaica I can without a doubt tell you that you will not have time to eat it. Imagine coming around a corner at 60 mph and boom, there are 2-4 police officers with machine guns pulling you over? Do you think you can compose yourself enough to find and eat your spliff? Question: Should I take a “Ganja Tour” and buy weed from the growers? Answer: I’ve taken two Ganja tours in Jamaica and both times I did not buy Ganja because I did not want to risk traveling with it. I would suggest having the grower deliver it to wherever you are staying so you don’t have to risk traveling with it. Question: Where is the best place in Jamaica to buy really good Ganja? Answer: (Laughing) This article was not intending to be a buyers guide to purchasing Ganja in Jamaica! As a tourist everyone will tell you that they sell the best herb on the island so it’s a roll of the dice! Question: I was reading about how the Bob Marley tour is the only legal place in Jamaica to smoke Ganja, is that true? 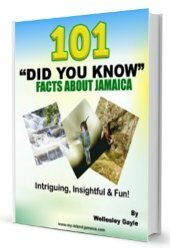 Answer: I see that false statement all over the internet and can clearly state that the laws in Jamaica do not exclude the two Bob Marley tours!……..SMOKING GANJA IN JAMAICA IS ILLEGAL! Question: How much does Ganja cost in Jamaica? Answer: As much as you are willing to pay. I’ve heard stories of people spending $50US on 3 spliffs and spending $50 on a half of a pound………some people know how to bargain better than others! Question: On a few websites I see that if I get caught with marijuana I can just bribe the Jamaican Police, is that true? Answer: Maybe………..do you like to gamble? Good luck in this and all the best on your trip here Tom. Be sure you get a copy of The Jamaica Travel Guide to help around Tom. Note: By the way, this Q&A will also be posted on our popular facebook fan page so I am inviting you to follow the responses over there as well. DO NOT BUY WEED IN KINGSTON!!! Just got back from Jamica last night. Personally, I would wait until you get to your destination before you make your purchase. Fresh off the plane you're a target for getting scammed, low quality and quantity for your dollar. Know the exchange rate, 1 US dollar equals 127.6 JMD. Trust me, Jamicans know it very well! Once at the resort walk around for a few, it took me about 3 minutes. I walked up to a guy who was near the towel stand and showed him cash. 5 minuites he brought it to me, 1/4 oz for 20 USD. I scored three more times during my stay. Prices vary, for me, 20 dollars for some gummy organic smoke delivered anytime day or night is a fair price! Quit stressing, use common sense. This is so darn funny to read. As a boy in Jamaica, I often saw guys smoking Ganja on the roadside. I am now 78 years old so do the math. I never smoked and neither did my friends as smoking Ganja was not a part of what our lives were about. It was perhaps what others did but not my peer group. Now as an adult male, I really believe the stuff should be legalized. First, weed is everywhere. Everywhere you look someone has one hanging out their mouth. Its not illegal if you are a Rasta man due to its part of their religion. Second if caught its less than a five dollar fine for the rest of us, locals and tourist. From talking to the locals, no one ever knew of anyone ever getting a ticket. Weed keeps everyone happy and if everyone is happy, why would the police want to mess with the peace. No one is harming anyone due to easy going. By the way it is safe as long as using common sense, its taboo for a local to harm a tourist due to that's income. The other locals will turn them in and ban them from the community, per locals. I've spent five weeks over the past two summers and smoked everywhere and anytime. The road blocks are only set up for inspection of vehicles licenses and registration, etc. They could care less if you are smoking a joint. And where the hell on this island did you get up to sixty miles an hour. I think once for a moment we topped out at forty five. The roads and traffic and conditions do not allow someone to drive that fast with out having a wreck very quickly. Don't forget the autos are in KM per hour, not Mile per hour, so the reading of the dash may say sixty but you are going much, much slower, dumbass. From what I read of your article, you never have been to the island. I am here to say don't listen to this blow hole. It's one of the most beautiful places on the earth, wonderful culture, and you can smoke your weed at anytime with out fear. They don't want to lose the little tourism they have, that's their money being brought in. Act right and responsible, have fun and smoke it if you got it. Hope this help correct the misleading article from above. I love Jamaica, I want to move and live out my retirement life there. If you need the best herb in Jamaica delivered straight to you, look no further. Call 3665365 and ask for Indian. Thousand dollar bags and up only. If you want specific strains or indoor herb this can be provided at a higher cost. Call us today and every day! If you need the best local weed in Jamaica and want to ensure a safe transaction, call this number 3665365, ask for Indian. Thousand dollar bags and up only, delivery straight to your door, kingston only. If you need good indoor or specific strains, we can accommodate that also. Just call the number and ask. 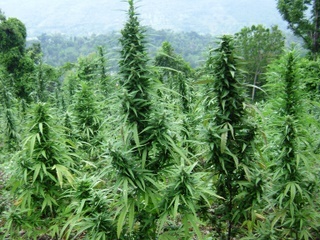 To answer your qyestion, it is EXTREMELY easy to find weed in jamaica. I was offered it right outside the airport, at my resort and any time I went out shopping. It's extremely prevalent and u don't even have to look... it will find YOU! I'm from Florida and a "paranoid" smoker... always being cautious. Here, you can smoke it at your resort! (On the beach, in smoking areas, etc) it is so laid back when it comes to pot. I wouldn't smoke it walking down the street, but I smoked on 2 of my excursions, lol. I'm staying at the jewel in ocho rios and if you go on the dunn falls river tour, you will find it there too. I went off roading on an atv tour yesterday and the guides brought it and shared it. It IS legal supposedly to possess up to 1 ounce. (I wouldn't smoke on the steet tho just to be sure) if u are a weed smoker, Jamaica is perfect for u!